Latest My beauty diary mask contains Cosphingo™ X Aquaroad. It can enhance the moisturising effect and gives a better hydration to the skin. Beside that, it can brighten up skin complexion. 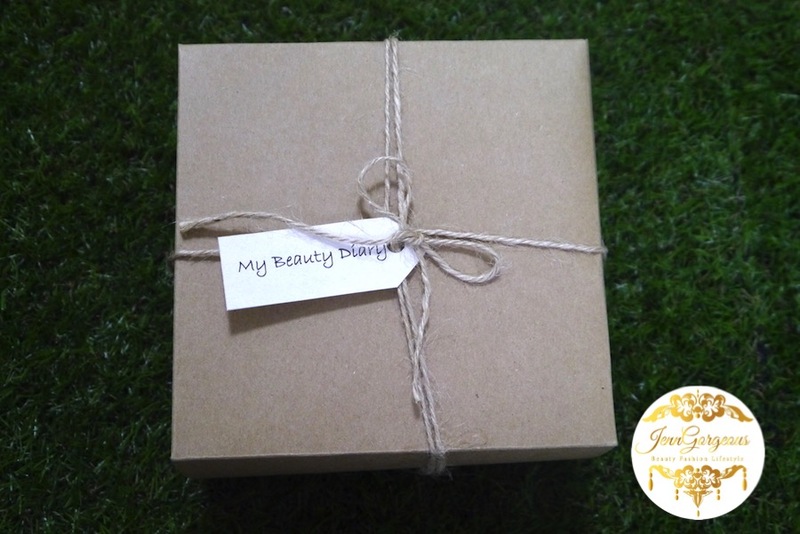 ❤ Gentle to the skin It claim to have no paraben or any harmful chemical. So this mask is gentle to the skin. 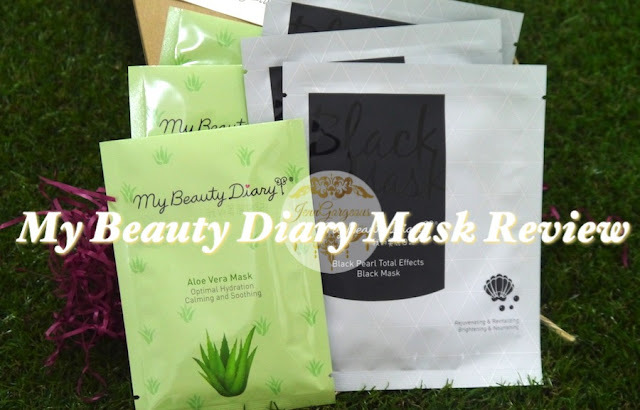 So for today's review, I will be talking about two face mask from My beauty diary. I received them in this cute little box. I'm glad that they send me my favourite kind of mask, which is suitable for all skin types and especially for dry skin. Available at selected Guardian and Sasa store. This is the Black pearl total effects Black mask. It has 3D Hyaluronic acid and yeast compound. The unique structure if 3D Hyaluronic acid locks moisture into the skin to replenish and retain hydration. It is also forms a protective film over the skin to prevent dehydration. The yeast compound helps tighten and regulate the skin tone, promoting a fine and glowing appearance. The product effectively soothes fatigue skin in just 15-20 minutes to reveal a youthful and velvety smooth complexion. it also helps brighten the skin and fight the effect of aging. 2. Take out the face mask and put it on. 3. Make sure the special chin and neck portions of the mask are stretched across. 4. Wait for 15-20 minutes, no rinsing needed. Just massage remaining essence into skin. Try to stretch the mask and place it around your neck. 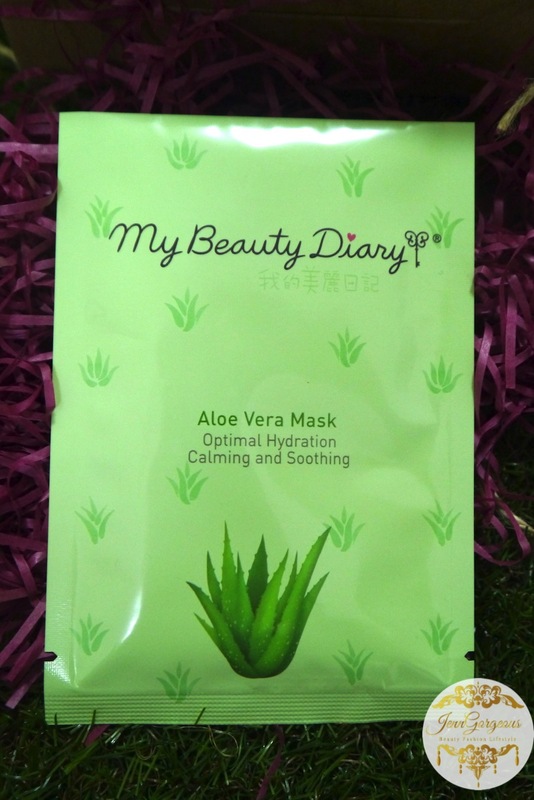 The next face mask that I will be talking about today, is the Aloe vera mask. 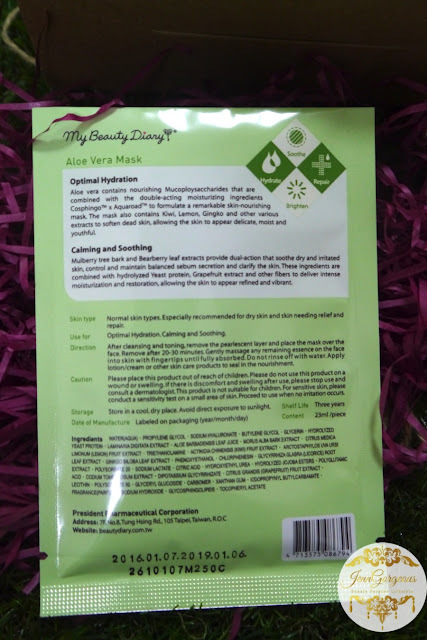 It is suitable for normal skin types and especially for dry skin. It contain Mucoploysaccharides that are combined with the double-acting moisturizing ingredients Cosphingo™ X Aquaroad to formulate a remarkable skin-nourishing mask. The mask also contains Kiwi, Lemon, Gingko and other various extracts to soften dead skin, allowing the skin to appear delicate, moist and youthful. It is also contain mulberry tree bak and bearberry leaf extracts provide dual action that soothe dry and irritated skin, control and maintain balanced sebum secretion and clarify the skin. These ingredients are combined with hydrolyzed yeast protein, Grapefruit extract and other fibers to deliver intense moisturization and restoration, allowing the skin to appear refined and vibrant. 2. remove the pearlescent layer and place the mask over the face. 3. Wait for 20 -30 minutes. gently massage the remaining essence. New sheet mask is sticking on the skin better than previous old one. I wish that the mask has ear loop so it is tightly stick on my skin, not just simply stick it on. Overall, I like both face mask because they are affordable and I can see my difference before and after used. My face is brighter and feel moisturised throughout the day. 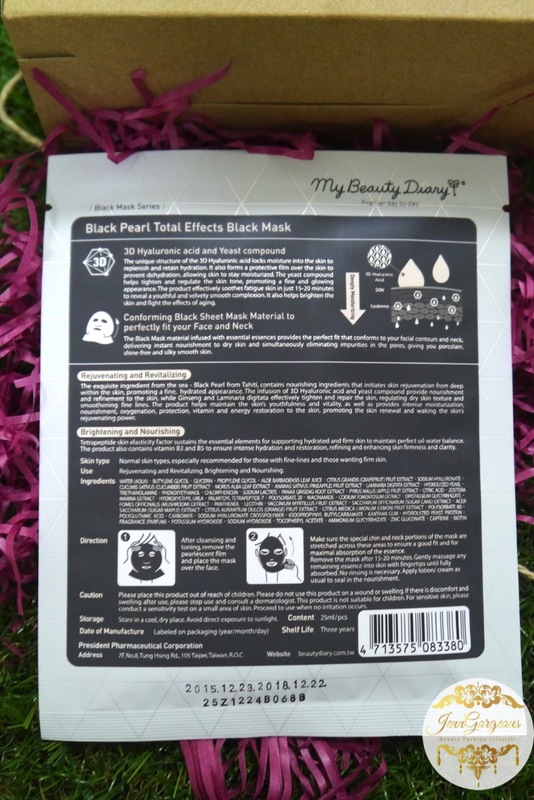 The Black pearl mask has semi watery texture where the Aloe Vera mask is more watery. For the Black Pearl mask it won't drip all over the place so I can still continue doing house chores while having my mask on. But for the Aloe vera mask better to just relax and lie down to enjoy pampering session. I like that the Black pearl mask is covering my neck part too, so it can brighten up my neck as well. I just hope that it comes with ear loop so it will fix on my face instead of just sticking to my skin. Both have a slight fragrance smell. The new sheet mask stick on the skin nicely. The size of the mask is my perfect size for my face. 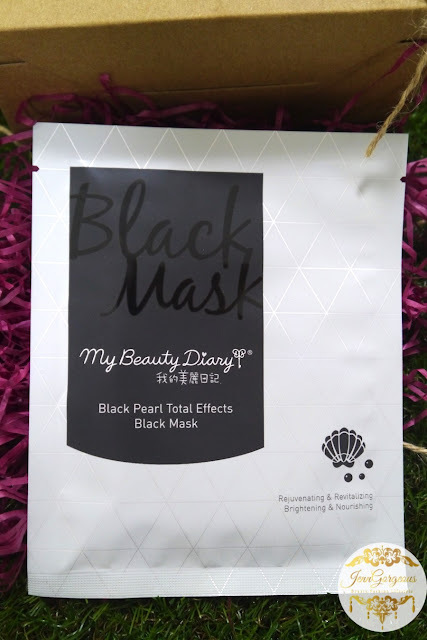 I will recommend that you use the black pearl mask probably 3 days a week because it has yeast compound. As for the Aloe Vera mask you can use it daily, it is soothing and calming to the skin. Disclaimer: This is a sponsored post and the product was sent to me for my 100% honest review.